Lyall Kirkup was speaking at a convention and mentioned that some of us have often wondered if any of the Royal Family in England ever professed, and he said, "Yes, that Princess Victoria did and was faithful to her death." She was a granddaughter to Queen Victoria, sister to King George V and King Edward that left the throne to be married to a commoner wrote a book, "Memoirs of King Edward VII." In it, he tells of the last time Princess Victoria danced in the Palace. When she died, the newspapers stated she died a "Religious Recluse." She was indeed misunderstood and an outcast by her family, although King George would call her every day at noon to see how she was. Lyall had in his possession 15 copies of letters in her own hand writing to a sister worker in England named Maggie. In them we read many things to show how much she valued Truth above all else, even a place in a Royal Family. In one she wrote, "I was the daughter of a King, but now I am a child of God." Her contact with Truth was through three saint girls working in the Palace. One especially was a maid to the ladies in waiting. One day, she was fixing the hair of one of the ladies who invited her to attend the Chapel Service with the Royal Family. This was supposed to be a high honor. This friend declined and gave the lady in waiting her testimony. At that moment Princess Victoria passed by. The lady in waiting was so impressed, she wanted Princess Victoria to hear it also. From that time, Princess Victoria wanted to hear more. The workers were having open air meetings in Hyde Park, a place where anyone could have a meeting, it seems, and apparently, more than one meeting could be on at the same time. Princess Victoria would have the coach stop, and she listened from the coach. In due time, she professed. The persecution in the Palace got so severe, two of the girls quit their work there. The third one continued, but her nerves finally broke after being put through severe questionings and trailed by the --- al Police. When she too finally had to leave the Palace, Princess Victoria also left and went to the country home where she lived until she died. The present Queen Elizabeth has also been in touch with the Truth. Every week, ---- herself goes to a little store that one of the friends owns to buy things she --es there. Also, a couple years ago, she visited Germany, and all English subjects that were there were invited to have a meal with the Queen. One of the sister workers from England laboring in Germany was in that number. She went to the dinner, and the Queen asked her about here work. This sister worker told her a little, and the Queen seemed to listen, but never seemed to go further than that with her. Wonder what she would have said if the sister worker would of told her that this is the same belief your great Aunt Victoria believed in? (3) Ruth Jordan (R.J.A.). one of the three professing maids working in London. The three professing maids were: Daisy Bassett, Ruth Jordan Aicken and Flossie ------? I came to London October, 1917 and professed soon after ward. It happened at the same time that a girl, Daisy Bassett, who was working at the royal palace, got in touch with a girl from New Zealand in service in a mansion, Ruth Jordan. She was professing and brought Daisy in touch with the workers, and she also soon professed. This became known at the palace and Princess Victoria, a single, middle-aged, single favorite sister of King George V, approached Daisy and said: "They tell me you worship in a stable." The Princess got so interested by what Daisy told her that she got in touch with the workers through letters. She was cut off from getting to meetings. They raised a storm in the palace. Old Lord Stamfordham, who ruled the palace and another high-up made it very hard for Daisy. They suspected Daisy and Ruth were German spies, and had the Scotland Yard to shadow them. This was a very serious charge, while England was engaged in a deadly war. Lord S. threatened Daisy and said when the war was over he would stamp out this "stable religion" out of the country. He also arranged that Victoria was being watched, and she had to keep her correspondence with the workers a secret. Lord Stamfordham brought the Archbishop of London to try to persuade Daisy not to go to the meetings. He asked, "Do you go to meetings in a stable?" She said, "No, but if so, that should be no dishonor. Jesus was born in a stable." Once I came to Grant's home, just as Daisy had left. She had brought her black cat, asking them to take care of it for her. It was being abused at the palace. After a while Daisy had to leave and Victoria left the palace to live at her country residence, "The Coopin," where she practically was cut off from correspondence with any of God's people. Now Daisy would not be there; she had been carrying the letters secretly between the princess and the workers. Now Victoria's mother gave her permission to attend meetings an conventions. But that aroused Lord S. so much that he managed to have Princess Victoria banished to a castle on the Isle of Wight, where she was cut off from all connection with God's people. That must have been not much later than 1920. She died there December 3, 1935. Papers stated she had lived a quiet, godly life, was deeply mourned by King George V.
Daisy, Ruth and Flossie were the three girls working in London, and the latter seems to have been a close friend of the Princess. The royal family had confidence in Daisy and would not allow Lord Stamfordham to fire her. She left the palace for health reasons: nerves. There can be no doubt she could have avoided this fate, had she been willing to give up her faith. Little is known of Daisy after she left the palace. There seems to be no sure information, only that she died soon after. She certainly had a great heart for the things of God and was used by God to make the truth known at the palace to where very few had access. But there are letters of hers written while living in her mother's home. She says her mother tried to persuade her to forget all about this thing (as if she could). Her father had been employed at the palace, but had died before Daisy professed. I have got photo copies of a number of letters that Victoria wrote to one of the sister workers, Maggie Patton. The letters are without date, but were written in the years 1917-1920. People mentioned were indicated by signs instead of names, showing the fear she had of getting into trouble. It does seem very strange and pathetic to think of a lady of so high a rank not even having liberty to keep the person with her, or keep in touch with her, when she (Daisy) meant so much to her. I have been wondering if the Princess could really have gotten the right understanding, having only met a servant girl besides having scant correspondence with workers for only a short period. But reading these letters surprised me, seeing the joy she found in belonging to the Family of God, with no reference whatever of belonging to the most exalted family on earth at that time. It made me think of Acts 8:27. A man of great authority under a mighty ruler, had a very short time with Philip, who was not in the work, resulting in him going on his way rejoicing. He saw Philip no more. Such is proof of what God can do if there are honest souls. Princess Victoria was 49 when she met the Truth. She was raised when England was at the height of its glory, and the royal family the most elevated family on earth. She was sister to King George V, daughter of Edward VII and Alexandra, sister to Queen Maud of Norway. Thus, she was used to moving among the great ones of this world. 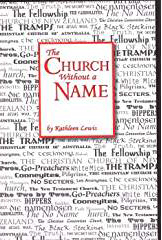 It is touching to think of such a person having so great a desire to attend our meetings in spite of the scorn of our meeting place being called a stable, and having such joy in belonging to the Family of God, even counting the days when she could get to meetings, and to notice the price she was prepared to pay in holding onto her faith. The book Memoirs of King Edward VIII tells of the last time Victoria danced at the palace. Once, I remember, she was expected to our meeting. She had decided to come with Daisy, but Lord Stamfordham stopped her, and Daisy had to go alone. The two men mentioned that made it hard for Daisy were Sir Derek Keppell* and Lord Stamfordham. When Victoria wrote the last of these letters, she was leaving the palace to live at The Coppins (or Coopins? ), Iver, Buckinghamshire, which seemed to be her personal property. She wrote letters from there, but they appear to be lost. Daisy left the palace at the same time. These letters were written to Maggie Patton, a girl from Ireland that had been in the work some 12 years or so. Two letters from Daisy are also written to her. Victoria's mother, Alexandra, who was known for her kindness, gave Victoria permission to go to meetings, and she was expected to a convention in Ireland in 1919, which Lord Stamfordham put a stop to. That aroused Lord S. so much that he managed to have Princess Victoria banished to a castle on the Isle of Wight, where she was cut off from all connection with God's people. That must have been not much later than 1920. We know very little about Victoria during the 15 years from when she was cut off from us, till she died 3 Dec. 1935. Books tell us that at King George V's later years, Victoria was the only person who could speak to him in tone of equality, and that it was a fearful blow to him when she died. "No one," he said, "had a sister like her." Papers said she was deeply mourned by King George V, and that she lived a devout religious life. It has also been stated that she renounced all social engagements, and lived a very quiet and secluded life in her latter years. Now drifting back to 1917, when Daisy Bassett made her choice. A brother worker asked me if I would call for her, which I did, and we went to Harley Street mid-week and to 65 The Village for the Sundays, and we always stayed for the two meetings with dear Susie and Dad Grant. After a short time, when Daisy was dressing Lady Keppell's hair, Lady Keppell asked Daisy if she would like to use a spare permit to attend a service in the Chapel Royal. This gave Daisy an opening to give her testimony, which she did. Lady Keppell was so taken aback with all Daisy said, she passed it on to Princess Victoria, and also to Sir Derek, who was at that time what is termed "Master of the Household," otherwise taking the oversight of all that goes on in the Palace. Lord Stamfordham was one of the 12 Lords on the palace Council and there is no comparison of all the red tape of the Monarchy to that of today, and it is not easy for anyone today to follow what it was like in 1917. When the Princess listened to Daisy's testimony and kept in touch with gospel meetings and fellowship meetings, Daisy and I asked her if she would like to correspond with two sister workers, Maggie Patton and Emily Ruddell. Their letters were a great help to her and she was a needy soul. This was going on for three years before Sir Sidney Greville and Sir Derek Keppell found out about these letters getting through to the Princess, and it made it very difficult for Daisy. She was constantly being brought to the stateroom before the council, and she was given strength and wisdom to face the challenge. It finished up with Scotland Yard shadowing both Daisy and my movements, and we both were conscious of it, too. Daisy's nerves gave out completely, and she left the Palace. She had to go to some quiet spot and see no one in the meantime. Queen Alexandra, Victoria's mother, advised her daughter to go to one of her country residences, so she chose The Coppins, where later she was seriously ill and needed surgery. We see how the Lord opened the way of escape without making headlines in the daily news. So, we are confident that greater was He in her than all the great and mighty who were against her. So, it is very restful to think of her and Daisy being forever with the Lord. 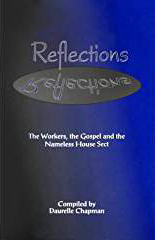 The Gospel is no respecter of persons, regardless of what a person's background and life nationality or what national circumstances the gospel finds them in, and provision is made for them to become new creatures in Christ, and He, the God of their strength, can keep them until their time of departure. Hannah's prayer came to my mind, in her confidence of what God can do with submission of heart. "Raise it up and set them amongst princes," a truly wonderful work done by the gospel, and as you said, not many earthly Royalty become Royalty in the greatest of all Kingdoms. Now, I must try and get the review back to 1917. I think John Pattison asked two questions in one of his letters with regard to Princess Victoria: What was Daisy Bassett's duties in the Palace? She was in attendance to Lady Keppell, Lady in Waiting to Princess Victoria, and Sir Derek Keppell was Master of the Household, i.e. taking oversight of all comings, goings and doings at the Palace, etc. It was he that made it so difficult once he knew what was going on between Daisy Bassett and the Princess. There was a period of about three years that helped by Daisy getting a correspondence through to Princess Victoria. She made the most of asking for the benefit of the gospel meetings, and the fellowship meetings and they were accepted like water to a thirsty soul, or as David described it, "As the heart panteth for water brooks." Daisy passed on her testimony to Lady Keppell, and from then on Princess Victoria was constantly asking questions, and showing her interest. She valued listening to Daisy's testimony until the Lord gave her a testimony of opening up the Way of Life to her. It was during those free three years that Princess Victoria made her choice and then when Sir Derek found out what was taking place, by the Princess not attending any social activities, then he called together the Royal Council, which was made up of 12 Lords and the Archbishop of York who was Cosmo Lang . Daisy had to appear in the State Room and she gave her testimony and real anger arose from then on; we both were shadowed by the two Palace detectives wherever we went. Daisy's nerves broke down by the constant evil things both said and done; she finished by a severe breakdown. I love to think of them both enjoying the supreme fellowship in His restful everlasting Kingdom. At the time this event took place, both Daisy and I felt "This thing is of the Lord," and it was a privilege to watch His hand working on the clay. I couldn't forget what Princess Victoria said; that she was "tired of being a somebody and welcomed the chance of being a nobody." As time passed, we saw this really taking place slowly and quietly the yielded clay was taking shape of what was in the mind of the Potter. The Queen and her daughter deeply drawn to the warmth of His Spirit, and like Moses, being filled with the meekness of His Son.
. Account by John Pattison . Following are the personal letters of Princess Victoria, sister of King George V, and cousin to his wife, Queen Mary. Most are dated 1919, and are written to Maggie Patton, a sister worker. Another sister, Emily Ruddell is referred to in Letter No. 10. The Ruth and Daisy Bassett mentioned are both described in the Accounts above. Daisy first came in contact with a professing lady on a train as she was returning from a visit with her soldier brother in the war, and asked for a contact in London, and was given the name of R.J.A. When Daisy was talked to by the Bishop of London, she was told "your father was such a loyal servant here at the palace, it would turn him in his grave if he knew where you go to meetings." She said: "I wish my father had served the Lord as faithful as he served here at the Court." The essence of these letters...show that, as we have been told, Princess Victoria had a clear revelation of Truth; that she was very close to and influential to her mother, as were also the professing girls who were in service to the household. Where Princess Victoria used symbols rather than names, the names for which the symbols stood are in parenthesis. I was glad to get the notes, also a letter since. They were indeed helpful and I had no difficulty in understanding them. I did enjoy the piece about the "Holiest of All." I had read the same chapter and felt quite disappointed I hadn't seen it all myself. These few words have come into my mind so many times today, "And your joy no man taketh from you." I think there is something so consoling about them, don't you? I hope you keep well in every way. Both (Daisy) and I enjoyed getting yours and to see that you were seeing a little to encourage you. I've been reading again some thoughts on Jacob's ladder you sent me once. I enjoyed them so much, I couldn't part with them, although I've had to destroy the greater part of all that I had. The Lord's promise to Jacob as he yielded to Him is so com-forting. I've had this little verse on my mind lately, Is. 30:15: "In quietness and in confidence shall be your strength." I feel that it is in the quiet moments as we wait on God that our confidence is deepened and so becomes our strength. (Daisy) is a little improved this week - we both send our love. I can only give you a note - I was so pleased to get yours, I always am. I hope you are not so busy now, tho' the letters are never a burden. I hope they are not a great trouble. I'm sure you have a great deal to do. I just thought I'd write a line until I get time to write more. I was so glad to get yours. I hope you have a companion by this time, and that the interest of the couple you mentioned has increased and soon you may see them won. I hope you keep well in health. I've just realized it is some time since I wrote you last tho' my thoughts are often with you. Was glad of your last, so helpful especially the thoughts in Paul. I am having a few weeks in the country, as I haven't had very good health lately, and am enjoying the quiet after London. Was reading today of Moses fighting with Amalek and was encouraged noticing how he overcame when the Lord was with him. I did wish I had more power to overcome. I wonder if you have gone to Birmingham yet. I should so like to know how you get on. I hope you keep well. I did enjoy getting yours, it was so good of you to explain the chapter. I never thought Amalek stood for the flesh, nor had I noticed that Jehovah-nissi meant "The Lord my Banner," so it was especially interesting. I hope you are encouraged by seeing some won there - shall be so glad to hear from you. This was written before your last was received. I'm writing you instead (of Ed Cooney). Please thank him for his. I was so glad to get it, also enclosed which I'm returning by (Daisy). This last seemed such a long week - and it's so difficult to be patient and so hard to make others understand, but I'm glad in my heart. I do want to be true. I'm so sorry you are so unwell - I'm sure a rest will do you good. I rejoiced to read the good news your letter brought - that one had decided to follow Jesus in The Way. It's true, Maggie, that few get to the place where they can say like Peter "Lord, to whom shall we go." ------? is staying a few days longer and is coming back later which will help me a good deal. It is nice to see how the Lord has overruled from the beginning. I hope I shall be worthy of it all. It is true we have much to cause us to say like David "What shall I render unto the Lord for all His benefits toward me." I have enjoyed reading today about the two disciples on the way to Emmaus. It cheered me as I read of Jesus drawing near to them in their loneliness although they didn't know Him at first. I'm hoping to hear from you once more before (Daisy) goes. I began to write to you before but didn't finish. I'm glad you're getting a rest - hope you'll return quite well and strong again. I did enjoy your letter - was encouraged today reading in I think Psalm 17, "I shall be satisfied when I awake with thy likeness." 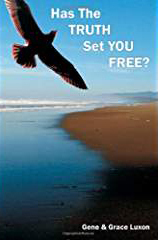 David always strived for the best, and never seemed contented with less - I felt I needed a good deal of David's spirit. I did enjoy your letter, have just been sending on a little of it to Emily Ruddell and Ruth. I was glad to know that you still find a little to encourage your heart there. (Daisy) seems better but is still far from well. I shall be glad when she comes to me. She tells me that she will probably be seeing you at -------? Have just been reading Matt. 9 and noticed how the different ones there made efforts to get in touch with Jesus and thought when asked which was easier to say "Thy sins be forgiven thee or rise up and walk" that we like to know our sins are forgiven, but have to begin to walk and it is only as we are able to walk that there is proof that we are forgiven. You will be glad to know that I am going to an Irish convention. I am so looking forward to it. I was glad as I always am to get yours, and meant answering it sooner but my mother has not been at all well. I have been more tied than usual. You will have heard that (Daisy) is leaving here. We think it best that she should--I shall not be able to get many more letters from you, but will try and write you a line sometimes instead. I have enjoyed thinking today of the Lord's promise to Joshua. That as he had been with Moses he would be with him. It encouraged me as I thought of the time when (Daisy) would be gone and I would be alone - yet not alone - for as He stood by all those we read about in the scripture, I'm sure He'd stand by me too. I'll try and not get so easily discouraged as before. (Daisy) says she may be seeing you and will give you due news. I'm glad to hear that you are so well. I was so glad to get your letter a short time ago. I read one of yours to (Daisy) too. I did enjoy the bit about Caleb. I had been reading about it yesterday and it has encouraged me too. Did I tell you that my mother said if I'm as still determined to "live this life" six months hence - I could attend the meetings. One month has gone already. --------? thought it best that the permission should be in writing. My mother has consented to this. I have been nearly a year within the Lord's family and it has been such a happy year. My heart is so glad. I must finish as I promised a line to Ruth. P.S. I was glad to hear about Birmingham. I haven't written to you lately and have been wondering about you today. (Daisy) doesn't know if you've gone back to Birmingham or not. I wonder if your health is better. I am to come to the meetings in 5 1/2 months. It is so nice to look forward to, have had a few words in my mind today. "Let us not love in word or tongue, but in deed and truth." How useless is all we say unless we prove it by our lives. I do want others to see that the Love of God controls my life. I have had such an abundance of true love shown me, since I have been in God's Family, and I long to be worthy. I should like to hear from you. Your letter was quite a surprise - it was so kind of you to write and I enjoyed it all, and am looking forward to the notes you promised. I'm glad you enjoyed the Convention. I thought a great deal about you all. Forgive this being so brief. I write under difficulties. Enclosed - the lost letter - you sent it with Ruth's. Now, don't worry anymore. After all, there is nothing to fear or worry about. I'm not worrying at all. Stay at home tomorrow and rest--only tell -------- ? beforehand. Thank Ruth for hers with enclosed--you need not have said you'd had a letter at all - then it wouldn't have mattered. I do hope you are well. I'm so busy today. My mother and I have had a serious talk today about "The Way" and she thinks I'm just interested and that it will not last. Advised me to try and forget - as if I could - I have tried to be so patient to show how much I am in earnest but no one will understand. My mother suggests this - that I wait six months and if I am still determined to live this life, I can attend these meetings. She says this is a fair arrangement, but I can't wait six months, can I? What do you think? I'm so sorry to worry you, but ----? is away, but should be back soon after this reaches you. I was indeed glad to get yours with your sister's enclosed. You did not mention Mrs. M. Cole? P.S. I will wait if you think I ought. This came this morning. I opened it misthinking it might be for me, and enjoyed it too. I am having quite a holiday. I think it will do me good. I'm sending this to London, someone will be sure to forward it on. I hope you keep well, I thought about you all at the Conventions especially Somerset. I quite meant going there, but anyway the Lord knows best, and I do want to please Him. Hope you are having much of His fellowship these days. TTT Editor's Notes: The above Account is reprinted in its entirety, but has not been verified by TTT. Some have noted inconsistencies with the above account and published facts about the royal family, one of which is that after King Edward VII died in 1910, his wife and Princess Victoria resided at Marlborough House, London until her death in 1925, rather than Buckingham Palace. Even though she had a number of suitors, Princess Victoria never married. Her mother, Alexandra, is believed to have actively discouraged her from marrying and she remained a companion to her parents, particularly her mother, with whom she lived until Queen Alexandra's death in 1925. The Princess then set up her own home at The Coppins. Iver in Buckinghamshire. She took a particular interest in the village life and horticulture. Ralph Hancock, known for his famous garden projects, set up a rock and water garden and also an Iris garden for Princess Victoria at her home at Coppins. Princess Victoria died at home in December 3, 1935. Her funeral took place at St. George's Chapel, Windsor Castle, and she is buried at Frogmore Royal Burial Ground, Windsor Great Park. Her death greatly affected her brother King George V, who died just six weeks later. Reportedly, every year when the grouse shooting comes in to be exactly August 12th, the Royal family go to their Scottish home, Balmoral Castle, and it was there that the Queen Mother, widow of George VI, used to visit the little store run by one of the friends, a girl who was in the work for a short while. The sister worker in Germany who attended a dinner for British subjects and who there met and visited with the present Queen Elizabeth, who asked her about her work, was Jean Mansfield. 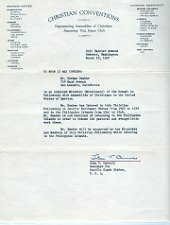 TTT received communication from someone who knew Ruth Jordan before she died, circa 1980. After the Princess Victoria period, Ruth was in the work for a while, and then went to New Zealand, where she married a Mr. Aicken. They had two sons and a daughter. One son died young, the other is a retired farmer, and the daughter is in the work (in 2001) in New Zealand. Ruth told an informant about the times the three of them had studies together. The 1991 Worldwide Workers List shows two females in the work in New Zealand with the surname Aicken: Eunice Aicken and Ruth Aicken. John Pattison went into the work in South America in 1922, and remained there for over 50 years. In 1957, he pioneered the work in Bolivia, where he died in 1978, aged 85. His father was Goodhand Pattison from Cloughjordan, Ireland. 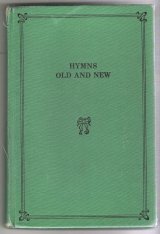 His brother, Bert Pattison, was in the work in England until he died, and wrote Review of Hymns Old and New. "Princess of Great Britain and Ireland, was born at Marlborough House 6 July, 1868, the fourth child and second daughter of the Prince and Princess of Wales. Living constantly at home as the only unmarried daughter, the princess was never much in the public eye except as the companion of her father and mother, but both at Marlborough House and at Buckingham Palace she made herself their indispensable helpmeet. During Queen Alexandra's widowhood, she was her mother's inseparable companion, and it was not until her death that at the age of fifty-seven the Princess gained independence in a household of her own at Coppins, Iver, in Buckinghamshire. There during the last ten years of her life she found rest in her favorite recreations of music and gardening, and gave full rein to her kindly feelings towards animals. She inherited to the full her mother's endless generosity and sympathy for those in need. If this benevolence seemed to others misplaced, such a consideration was never allowed to stand in the way of a benefaction, once she had decided to make it. She was a true and lovable friend, and no common bond of affection united her to her brother King George V, with whom scarcely a day passed without communication, and whose precarious health was further impaired by the shock of her death at Coppins, 3 December 1935." TTT NOTE: The above Princess Victoria account contains inconsistencies and merits more research before conclusions as to what portions of it can be considered valid. For instance, Sir Derek Keppel (not "Keppell") was indeed Master of the Household for many years, but as a glorified butler over the king's residences (his authority extending over the cooks, footmen, gardeners and other household servants). He would have had little control over Princess Victoria. He and others could have exercised even less constraints over Victoria after she and her mother left Buckingham Palace and the royal household following the death of her father in 1910 and resided at Marlborough House and Sandringham until her mother's death. Kleppel was brother-in-law to Alice Keppel, King Edward VII's last mistress, who was regarded as an enemy by Queen Alexandra and Princess Victoria and would not have been regarded as close confidants. Moreover, Princess Victoria is described as being very headstrong, and it is unlikely that she would have submitted to being completely banned from 2x2 contacts. Certainly during the last decade of her life, following her mother's death, when she lived in her own house, she could scarcely have been prevented from receiving Workers or even being baptized and discretely attending Meetings or Conventions. Also, any use of the initials "VW" by her after 1917 would have stood for "Victoria Windsor" and not "Victoria Wales" (she was never a Princess of Wales, and England's Saxe-Coburg and Gotha dynasty was renamed to the House of Windsor during WWI due to anti-German sentiment). There are other assertions and suggestions in these 3rd and 4th-hand accounts that are questionable.